Arsenal have a £17.5m bid for Chelsea star, David Luiz. Luiz has struggled to get regular game time this season, with the defender spending a large chunk of the campaign on the sidelines due to injury. The 31-year-old made just 16 appearances in all competitions under Antonio Conte this season. French outlet Le10 Sport, reports that Arsenal have tabled a £17.5m (€20m) to lure him to the Emirate next season. 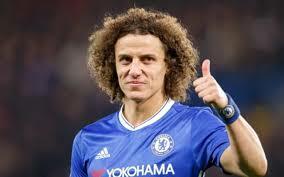 The news outlet further reports that the Blues have snubbed the Gunners’ proposal, adding that Arsenal are yet to table a second offer for Luiz. Should the Gunners land Luiz, the Brazil centre-back would become Unai Emery’s second summer signing. Luiz would follow Stephan Lichtsteiner to the Emirates after the defender became Arsenal’s first deal. New Gunners boss, Emery, who was named as Arsene Wenger’s successor last month, has been vocal on Arsenal’s transfer plans, with the 47-year-old revealing he plans to develop the current squad.